I make Jack this vegan carrot cake each year on his birthday. Moist, warmly spiced & slathered with creamy vegan frosting, it's perfect for celebrations. We have a carrot cake tradition around here. My mom makes one for Jack whenever she comes to visit, and I make one for Jack every year for his birthday. I don’t know when the “Jeanine gets cake” tradition will ever start, but I can’t complain because, really, we both get cake and we eat it too. This year, I took some liberties with my mom’s recipe and made a fully vegan version – frosting and all. Instead of cream cheese (or tofu cream cheese), I made a cream cheese-like frosting using macadamia nuts, cashews, lemon juice, and Almond Breeze. And instead of powdered sugar, the frosting is sweetened with maple syrup. I recommend making this frosting in a super high-speed blender in order to get it really creamy. If you don’t have one, you could always make coconut whip or cream cheese frosting using a regular mixer. Or if frosting is too fussy for you, this cake is super delicious on its own! And for more vegan cake ideas, try this chocolate cake, this chocolate zucchini cake, or this pumpkin cake. Preheat the oven to 350°F and grease a 9x13 baking pan. In a large bowl, whisk together the flour, baking powder, baking soda, cinnamon, nutmeg and salt. In a separate bowl, whisk together the applesauce, almond milk, vanilla, sugar and oil. Mix the dry ingredients into the bowl with the wet ingredients. Fold in the carrots and stir until just combined. Bake for 30 to 40 minutes or until a toothpick inserted comes out clean. Let cake cool completely before frosting. Make the frosting: combine all frosting ingredients into a high speed blender. Blend until very smooth for 1 to 2 minutes or more, scraping down the sides occasionally. You can add an extra tablespoon of almond milk if necessary to get your blade moving. Chill for at least 30 minutes before spreading. (It will firm up a bit). Store frosted cake in the fridge. *Make sure your baking powder is fresh in order for the cake to rise (since there aren't eggs in the recipe). If your baking powder has been in the back of your pantry for too long it may be less effective. **Soak your cashew and macadamia nuts for at least 3 to 4 hours, preferably overnight, then drain and rinse before using. I recommend using a very high speed blender (vitamix, blendtec, or similar) for this frosting. This looks to-die-for! Carrot cake was always my favourite and I’ve had one incredible carrot cake since going vegan but haven’t been able to replicate it at home. Is this frosting tangy like cream cheese? That’s what I’m hoping! I think it’s darn close to cream cheese frosting – it’s not identical, but the hint of lemon gives it a little bit of tang (without tasting lemony). I would say add pineapple puree instead of applesauce, or add pineapple juice with the frosting. You could sprinkle candied pineapple on top. My cake is now in the oven and it’s been in for about 40 minutes, still looking quite wet and oily. Fingers crossed it comes out nice, I had to give it a go when I read the recipe! I Have just made this cake after reading all the rave reviews and it has sunk in the middle. Can anyone advise me as to where I Have gone wrong??? This can happen when you open the oven during baking. Be careful to not open until you really think its done, then do so carefully and slowly not letting too much heat out at once, this way you can check your cake is ready. Just tried this recipe and it is excellent! Beautiful texture, nice, complex taste. I added about 1/2 cup of chopped raw walnuts, 1/2 cup of chopped raisins, 1/2 tsp cardamom, and 1 tsp allspice to the cake. If I make another change next time I may knock back the sugar a couple of tablespoons or so. When I tasted the frosting I wanted a little bit more tang so I added another tsp of lemon juice. I have really been wanting a good vegan carrot cake recipe. Thanks so much! Do you think the raisins made it sugary? For my taste, no. I didn’t really notice it even being excessively sweet and certainly not sugary. Perhaps the extra spice help make it taste rich rather than extra sweet? Hard to say because I tried those variations the first time so I can’t reliably say what it would taste like without. I certainly wouldn’t consider this a sugary cake. I was wondering what you added all the other ingredients you listed above in? Was it the cake or frosting? I tried the recipe as a tryout as ive been asked to make a 50 people event. It came out really tasty however i founf the cake to be really moist almost fudgy, could i have done something wrong or is it suppose to be like that? Hey guys, I made this frosting – like she says, MUST have a high-speed blender (IDK if the Bullet counts, but it finally smoothed out after 15-20min in there). To get it tangier, I added Bragg’s Apple Cider Vinegar. I also messed around w/adding more lemon juice & powdered sugar. And I interchanged coconut creamer for the almond milk (beggars can’t be choosers…). The frosting is CRAZY amazing! It’s close enough to cream cheese, my non-veg bf actually loves it. Okay, so, this carrot cake is my new favorite vegan conversion. Just fantastic. I’ll probably use brown rice syrup next time in lieu of the granulated sugar (and a significant amount less—I don’t need my food as sweet). Ha, I’m glad you liked it 🙂 Thanks for coming back to let me know! This sounds yummy. Gonna def give it a spin when I get the time to! Vegan baking has continued to be far tastier than non-vegan! It saves 1,090 calories and 133g of fat for the whole cake, or for one slice (1/8 of cake) 130 calories and 17g of fat. Do you substitute the same quantity of Silk Dairy free yogurt for oil – 1/2 cup? Yes I substituted the same amount of Silk Dairy free yogurt for oil, 1/2 of a cup, or almost an entire 5.3 oz container. I also prefer lower-fat versions. Did you make the frosting as-is? I used only cashews instead of macadamia nuts for the frosting since they tend to have more healthy fats instead of saturated and just less fat in general. (One cup of macadamia has 84g but 1 cup of cashews has 45g) I also did not put lemons in it but otherwise made it the same way. I did not make a low fat icing because my boyfriend has genetic (type 1) diabetes and really surgary but low fat icing is bad for him. Even with this icing, It only had about 6g of fat per slice though. I also used the organic Truvia sugar baking blend instead of sugar because it has 75% less calories than sugar but tastes just as sweet and amazing 🙂 It also saves about 570 calories. It cooks the exact same too. Thank you for the suggestion. I am trying to cut back on oil as well. I will try the yogurt next time. I took this to work this morning to share with non-vegans for a co-worker’s birthday. It is the best carrot cake they have ever had. I’m so glad your co-workers loved it! I feel like you may be missing the purpose of dessert. As a baker when someone asks me for a low fat alternative I point them towards a bowl of apples. I haven’t done it with this recipe, but I would just cut up pineapple and stir it into to the batter in the end. I have used it in other carrot cake recipes with great success. As for the frosting, I will be soaking dates in water and then blending them with a hint of maple syrup. Same thing for the cake. It is a sweetner with fiber! Can’t wait to try this. looks great! I’m going to try this for Easter. I am trying to figure out how big the pan is. so sorry for my slow reply! The recipe is made to fit in a standard 9×13, the pan in the photo is slightly smaller, but a pan similar to 9×13 will work! Hi I want to make this but don’t want to make in a squared pan preferably a round one should I add more time in the oven??? Hi Nahomy, depending on the size if your round pans, you might need two since a large rectangle pan is much larger than, say and 8×8 round pan. The time will depend on the size if your pan, no matter the shape. We had a huge success with this cake! Used coconut sugar and it worked perfectly! We could not use the frosting due to nut allergies, but the frosting we made was amazing with the cake! Definitely a keeper! I have made this cake numerous times..in fact right now I have made Carrot Cake cup cakes..little sweeties that are eaten up every time. Great recipe! Hi Donn, I’m so glad it’s a favorite!! Yay, I’m so happy it’s a favorite!! Absolutely amazing recipe! Like literally amazing .I never had a carrot cake this good. It is super moist and flavorful. The spices compliment each other and the frosting is incredibly light and flavorful. Only recipe I use now. Hi Brooke – I’m so glad you loved it – yay!! Thanks so much for this! It was a hit! No one even knew it was vegan. People went for the carrot cake instead of the other desserts. Life saver! Hi Oliver, I’m so happy to hear that everyone enjoyed it! This cake is all kinds of delicious. Love the flavour! I am making that frosting at the weekend. I never would have thought of it! Pinning this. Hi ! can I substitute the Macadamia nuts with another kind of nuts (I don’t have some right now in my pantry) ? if yes, which would you recommend ? thanks a lot. It was my first instinct but I prefered to ask. thanks ! this looks fantastic! i’ve been wanting to try some vegan recipes, this one sounds like it might be my first one on the list. Wow that looks delicious. I can almost taste how moist and flavorful it must be, and one of my favorite cakes made Vegan!! The best. Oh, this looks amazing! Carrot cake is my favorite. Wow! I want to lick that macadamia nut “frosting” off the screen! Carrot cake is my fave! I think I need to splurge and get some macadamia nuts! What a creative and delicious looking and sounding cake! Your brilliant ideas never cease to amaze me! This looks and sounds amazing, I would never have thought of using macadamia nuts for a frosting, such a great idea! Adding the macadamias to the frosting was a stroke of genius. I’d love to try this in mini bundt pans! I love this cake, I’m always tempted to try a vegan recipe but something always stops me – this looks so delicious though, I think ill have to try it! Pinned! Can’t wait to make this! Love the macadamia frosting here! And did you use whole grain spelt flour or light spelt flour? Oh, macadamia frosting. How dreamy. And vegan carrot cake – that’s indulgence without the guilt. Brilliant. The “Genie” is in the cake!! The magic you used to make it delicious to ask for seconds!! ummm YES please. This looks amazing!! I have been craving carrot cake recently and this is just the recipe I needed to get cooking! Thanks for posting a delicious vegan recipe for one of my absolute favorite foods! How delicious looking! 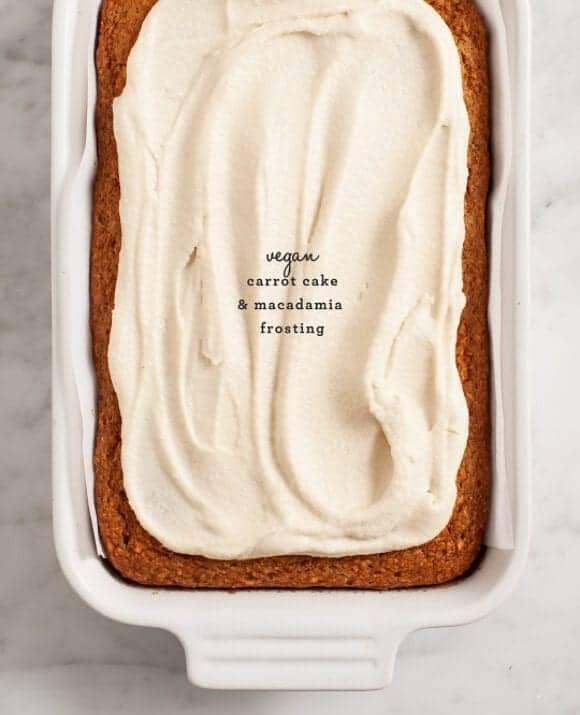 I had the best vegan carrot cake when I visited Seattle last year and have been dreaming about replicating it ever since, will definitely have to try out this recipe, looks fabulous. Just a quick question – could I use all spelt flour? Hi Louise, you could – it’s a little less light, but still delicious (I’ve done it that way many times before). Hi, would half or all cake flour work to lighten it? YUM! I just love veggies in cakes. This looks amazing. If only my oven would work right now..! Need a new one, now! Thank you for this recipe. Allthough i’m not vegan i try to cook or bake vegan recipes every now and then. And this frosting sounds so delicious. Oh my gosh, this looks absolutely incredible! I love your recipe, and especially the frosting! So neat and healthy. 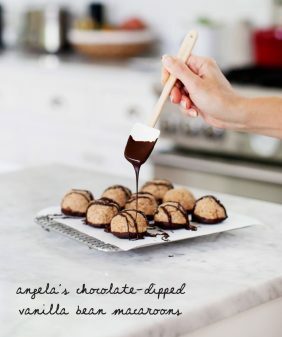 This frosting sounds great – love the idea of using maple syrup! This looks amazing! And healthy. Thank you! I can’t wait to try this icing. My son is allergic to cashews. Does it work to double the macadamias? Hi Morgan, We tried it with all macadamia nuts initially and it didn’t really work. If you guys do dairy, you can replace the cashews with mascarpone cheese. Oh my gosh, this sounds amazing! Love that macadamia nut frosting. Carrot cake is my jam, so I’ll definitely be trying this! this frosting. oh em gee! have to try! Hello! Thanks for wonderful recipe, but before I get to cooking, please tell me what is a cup. I live in the grams world but ounces will do as well. Thanks! So excited to bake this on Saturday! Just curious what you topped the frosting with at the end? That frosting looks divine, so creamy and delicious! And I’m always up for carrot cake ( have never tried a vegan version before, only gluten-free). What food processor do you have, or can you recommend a good one? 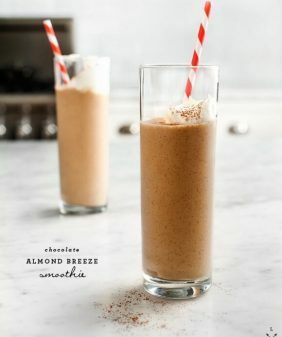 I use a Vitamix Blender for creamy frostings (like this), soups, and cashew-based sauces. I have a mini cuisinart that I use for pesto’s and other recipes that don’t have to be as smooth. Hope that helps! Cake is in the oven!! Got macadamias but no cashews in the house – what about almonds or peanuts or walnuts or hazelnuts???? Making this for my son’s birthday and the frosting sounds delicious. Hello! Looks amazing, I can’t wait to try it! Just one question… is there anything I can use instead of applesauce? It’s not easy to get that over here. Thanks! Thanks! If you’re not vegan, you can use yogurt in place of the applesauce. Uh, thanks for the quick response! I’m vegan though… any ideas about what I can use instead? Thanks! I’m not exactly sure – I haven’t tested another replacement. More almond milk might work, but it also might change the texture of the cake. Simmer over medium-low heat until apples are tender, 15 to 20 minutes. OR put in slow cooker on high for 3-4 hours. Love the sound of this — especially the vegan frosting! Will have to try this for sure! This looks delicious and i’m dying to make it. But can I use something else instead of sugar and maple syrup or can I just leave these two out? I like bananas is that okay? Hi May, I really can’t say if bananas would work as a sugar replacement without trying it (they’re not the same consistency so it wouldn’t be an equal 1 to 1 swap). I don’t think it would work to leave all sugars out because it is a dessert, so it’s going to need some sweetness! Recipe looks great. Trying to do a birthday cake for daughter. Can I freeze the icing? I don’t think it would freeze (and thaw) well, but you could make it a day in advance and chill it in the fridge. Stir it before you spread it. If its too thick stir in a little more almond milk. I wanted to ask if there is any way to modify this recipe for someone who is vegan and also allergic to gluten. I would love to make this as a surprise for a good friend of mine but she can’t go anywhere near gluten as she is highly sensitive. Thanks! Hi Meg, you could use oat flour, or a combination of oat flour and almond meal, or an all-purpose gluten free baking mix such as Pamela’s. Hope that helps! Are there any comments by those who actually made this? All the comments anticipate making it, but I like to read about results! Sharon Weaver, you read my mind ha ha! I generally don’t comment until after I’ve tried the recipes. I will say that I have every intention of making this Fathers Day weekend and will be commenting after. I will say that everything I have made off of this blog has been nothing short of amazing! ha, let me know if you give it a try! Just made this this evening. It is delicious! The nicest carrot cake I’ve ever made 🙂 The frosting took a while but tastes lovely… My husband says it’s a little grainy but perhaps I didn’t blend it long enough. Does it ever get totally smooth? Thank you. I made this cake tonight…and oh mee gee. It is the best carrot cake I’ve ever had. I’m not vegan, or even vegetarian for that matter but I love experimenting. I’m at my folks for the weekend so I used their blender. (an Osterizer which they received as a wedding gift 38 years ago!) I was worried about how the frosting would turn out, but I was patient and blended for quite a while, and added a splash more almond milk and it turned out beautifully. I gave my dad a nice large slice without telling him it was vegan until after he finished…he really couldn’t believe it. He asked for 2nds! We are talking about a meat + potatoes / refined sugar kind of man here. I can’t rave enough about this recipe, I had to hold back from eating half the cake! @ Mo, thanks for adding that you used an Osterizer blender. I was nervous about making it with my $30/older Oster blender. I might start it in the food processor and then transfer to the blender? If anyone has any other suggestions for a non-high powered blender let me know! I’ll post back later if it works out for me. This frosting just looks to yummy to not give it a try. I’ve been looking for a carrot cake recipe like this one! Pure heaven in a baking dish! Thanks! Hi Kris, I’ve made this recipe tons of times, I would recommend following it exactly and baking it at 325 (Fahrenheit). Kris sounds like your oven is Celcius, and not Farenheit. You have to halve Farenheit to get Celsius. So you should have used 175 degrees. Sounds like your oven was way too hot 🙁 Sorry. I am going to make this for my boyfriend for his birthday! I don’t have a metal baking pan though…has anyone made it with a glass baking dish? If so, did you modify the recipe? I can try to find a baking pan from someone if necessary but I was just wondering if the glass dish would do. Thank you! My frosting stayed pretty runny after refrigerating. I think next time I’ll reduce the almond milk. Do you have any other suggestions that might work? It still tasted amazing and my dad licked his plate clean. This recipe is amazing. Thanks! Yep, just reduce the almond milk – if it becomes too thick you can always stir more in later. And/or if you soaked your nuts, you can also try soaking them for a little less time. Mmmm I loved this recipe! The frosting was delicious! I only let the macadmia and cashews soak for three hours and it still worked out beautifully. What a nice treat. Hi Mariam – so glad you liked it! My cake didn’t came right :-(… I followed the recipe step by step. The cake was raw from the inside. Made this tonight and it was so delicious! Followed the recipe exactly and didn’t need to add a thing! I’m not into soaking things so I read that you can just boil the nuts for 15 min and that worked great! This is my first vegan recipe that actually tastes good! Thank you ! I’ve been looking for a vegan carrot cake with a traditional cream-cheesy frosting flavor, and I don’t use those disgusting (IMHO 😉 fake cream cheeses, so I’m very excited to try this recipe for a birthday celebration this week. One question though… I’ve always liked carrot cakes with nuts and raisins (one guy posted he added them with no other adjustments to recipe, do you agree? ), AND crushed pineapple. Given that the pineapple is “wet”, do you have any suggested modifications I might need? I made this recipe into cupcakes and they were amazing! My husband loves carrot cake and has high cholesterol. After 2 weeks of being very disciplined I thought I’d cheer him up with these. He loved them! I figured no eggs and no butter were one step in the right direction! I made this cake yesterday for my housemates birthday, carrot cake is her favourite and since i am vegan i of course wanted a vegan version. Well, she said it was the best carrot cake she’s ever had! and our other housemates loved it too! it was so moist and tasty, it was just perfect. Thank you so much for this recipe, i will be making it again! I purchased roasted nuts for the frosting recipe, do I still need to soak them? The nuts should ideally be raw, especially the cashews (so sorry I just noticed I didn’t specify that!). Soaking helps soften them so they’ll blend smoothly, so I wouldn’t skip that step or your frosting might be too gritty. Can I use all purpose flour instead of spelt and cake? This looks amazing. Do you think I can use almonds in place of the macadamias, or would you suggest using all cashews instead? I have soaked almonds in my fridge right now and I quite like the taste of them so I’m wondering if that will work nicely as well? Hi Susan, soaked almonds should work, I would recommend peeling the skins off though. (Or you can use all cashews). I made this cake for my vegan friend’s birthday and EVERYONE (vegan/nonvegan) LOVED it. I followed the recipe to the tee for the cake, and then for the frosting I used all cashews and ended up omitting the coconut oil (because… well, I forgot that I didn’t have any and I didn’t have any alternatives). It actually still held up really well and was more of a thick glaze. Definitely tastes a bit like cream cheese with the lemon tangy-ness at the end. Lovely recipe – thank you! I would soak for 24 hours (I don’t think beyond that is going to make it much better, also they might start to smell funky). I think some others have used a regular blender on this thread – just blend slowly and then blend a lot until it’s as smooth as you can get it. Ha 🙂 I’m afraid a hand mixer won’t work – the nuts really have to be blended well in order to become smooth and creamy. I’d try the coconut whip link that I pasted above, or regular cream cheese icing – both would work with a hand mixer. I have whole wheat flour and all purpose flour on hand. I also have cornstarch so I could mix up some cake flour if need be. Would any of these work without changing the taste of the cake? If so, which one would work the best or what blend of flours would taste best? Also, would unsweetened almond coconut milk work in both the cake and frosting? Is almond breeze sweet? When you say grated carrots, what would be better…shredded carrots or carrots thrown in a food processor? Hi Jamie, you can use all purpose flour or a mix of white/wheat. Unsweetened almond coconut milk would be fine. You can put the carrots in a food processor, just don’t puree them. Hope that helps! Finally! A Vegan frosting recipe that’s free of refined sugar and packed with healthy fats and protein! Thank you, thank you, thank you! I’d like to find a replacement for the sugar in the cake itself- do you think dates or maple syrup might work here too? Hi ELizabeth, I’ve used maple syrup in the cake before – it’ll just come out a little bit more flat, you might want to increase the baking powder by a 1/2 teaspoon or so. Thank you! It turned out great! For the frosting, does the coconut oil need to be neutral taste? Have you tried using both neutral and non-neutral? If so, which do you recommend? Thank you! Thank you for this wonderful recipe. I’ve been vegan for 15 years & have not found such a more delicious recipe than this; perfect texture & taste. My boyfriend who is new to the vegan life-style loved his birthday cake! Thanks again. Can you make the batter ahead? Hi Mia, I wouldn’t recommend it. If you want to save time, you can mix the dry ingredients ahead of time, but definitely wait to add the wet ingredients until you’re ready to bake it. Thank you so much for this amazing recipe!!! I made this exact recipe for a group of large meat-eating military men and they all loved it! Do you think the 1/2 cup oil can be replaced with applesauce which would make it a total of 1 cup? TIA! Hi Chris – I’m not sure that would work – I think it might make it too dense and/or gummy. Can I ask what you soak the nuts in? Almond milk or water or something else? Hi Christine, just plain water. Then drain and rinse them before you add to the blender. The carrot cake came out delicious. It was super moist and just smells really good. My roommates said it was really tasty. My only complaint is that the frosting is an acquired taste but after a while it taste like cream cheese. It could have done better with another frosting I feel. Hello! I am looking to make a double layered cake, and I love the idea of using this frosting. Do you think it is stiff enough to cling to the sides of a cake? So I have a Ninja- do you think that would work to make the frosting?? Thank you for sharing! This was so, so yummy. As a non-baker, this is a recipe I would feel comfortable reaching for in a pinch. I made some minor adjustments: cut cane sugar in cake batter to half (carrot = plenty of natural sweetness) and used almond milk, agave, and only cashews in the frosting. I didn’t have any lemon so used 2 tbsps of regular vinegar + 2 tbsps of crushed, frozen pineapple. The frosting came out velvety smooth, and its tartness balanced the sweet cake. I used 2 cups spelt, 1/4 cup unbleached all purpose flour. It came out perfect for me: somewhat toothy but not super sense. Just in case any other fellow noobs out there run into this problem: when I first mixed the melted coconut oil into the batter, it completely started to chunk up (separation from the almond milk, probably due to temperature difference? Or maybe it’s similar to water/oil??). Anyhoo, I had to melt it down in a double boiler before proceeding with remaining steps. Hi Rae, I’m glad you liked it, thanks for sharing your substitutions, sounds delicious. Thanks for pointing out the coconut oil thing – in more recent recipes I try to make sure to specify almond milk at room temp so that doesn’t happen. I’m making this for my husbands bday now and it’s been in the oven for over an hour and still is super dense/gooey. Not cakelike at all. I used a metal 9″ round. I’m leaving it in the oven with hopes it’ll cook more but I don’t think it will because it’s gooey even just under the top. Any suggestions? Oh no, I’m so sorry it’s not working out! I think maybe the smaller pan (I used a 9×13) might have made it too heavy to rise well? The flavor is still delicious, especially with the frosting!! I was wondering what the nutrition value for this recipe would be? I made this for a work gathering at 530 am this morning. I made it using a gluten free flour blend I whipped up, added walnuts and golden raisins and used lite coconut milk instead of almond. Iced with another recipe I have. Typing it out it seems like I made many modifications, but really this was nice base recipe for a DELICIOUS CARROT CAKE (first I’ve ever made). Very simple, straightforward, and it GOT RAVE REVIEWS!! One small slice left with my name on it (6 pm). Just making a cup of tea and then its gone. Will definitely make again. I’m so glad you (and everyone) liked it! Wow, I’ve made this cake about 5 times now (and sold 4 of them) and the reviews were amazing. They sold in half a day! Thank you so much for this amazing recipe, it’s one of my favorite vegan recipes. Hi Esther, I’m so happy to hear that!! Ok, so I just made this recipe, gluten free, for the second time in 3 days. I learned from first go round (which got rave reviews, but I knew it could it be better :)) and I am absolutely thrilled with the results. Added: 3/4 c walnuts, 3/4 c raisins, 3/4 c shredded coconut. Made 24 carrot cake cupcakes. Brilliant Recipe. Will make time and time again. I’d bookmarked it for about a year until I finally tried the recipe for a friend’s birthday today – and it turned out well! Only the dough was a little too dense, I think that’s because of the smaller baking pan, and the frosting was nice but not great, maybe because I used cashews only. I’m curious to try again with macadamia nuts. Anyways, I’m delighted it turned out so well though it was my first try! This turned out well! I used a little less than half the sugar. So you know: it’s doable but tastes more like sweet bread and less like cake. Although with a sweet frosting it’s fine. I also made this gluten free using a GF flour mix. I used coconut milk instead of almond. It was very dense, dry, and not extremely carrot-y. I don’t know if this is a result of the flour, the carrots being fresh and not pre-cooked, or the batter being quite thick (I probably should have added more fluids). I did not make the frosting. Hi!!! This recipe seems lovely, here in Brazil our carrot cake is different (it lacks the spices and nuts yours usually have, and we often use chocolate frosting instead of cream cheese), and I really want to try to do this one for my birthday, because it sounds really good! I have a question, though: can I use soy milk instead of almond milk? Almond milk is not easy to find around here, and making my own would be a bit expensive. Do you think it would change drastically the taste/texture? Thank you! I just wanted to say I made this recipe for my daughter’s first birthday. I used 1/2 whole wheat and 1/2 unbleached all purpose flour. I also reduced the sugar to 1/2 cup and used coconut sugar. I made coconut whipped topping. She LOVED it (and so did we). Hi, my family is Lacto-vegetarian so I was wondering if I could just replace the Almond milk with dairy milk? Also, since I have all purpose flour on hand only, is it fine to use that in place of spelt and cake flour? Finally, can you replace the coconut oil with melted butter? Sorry for asking so many questions, I’m just worried all the substitutions might ruin what looks like a great carrot cake recipe. Those replacements should all be fine – the only one I’m not sure about (I haven’t tried), is the melted butter, but I’ve used vegetable/canola oil before. This looks great! Can I use soy flour for this recipe? Its a good source of protein but when I tried to make pancakes with it they turned out a gloppy mess. If I can use soy flour, how much can I use & if I need to combine it with regular flour/whole wheat flour? I’ve never used soy flour so I’d recommend searching for a recipe online that uses it specifically… I’m guessing if it didn’t work as a 1-1 swap for pancakes that it would make for a funny texture in this recipe. Thank you, I will probably end up using white whole wheat flour. Can’t wait to try it! I have made 2 of these cake within a week’s time because it was that good. It taste better and even more moist than baking a non vegan based cake. Awesome recipe. Just made this into cupcakes, and they are out of this world. The vegan “cream cheese” frosting, is better than the real thing! I added more lemon to give it more tanginess as someone suggested above, and I licked the vitamix, spatula, and chilling bowl clean, lol. Great recipe, thank you! The birthday boy and his colleagues will be thrilled! How did you convert the baking times to make cupcakes vs cake ? Have you tried using coconut flour in your receipes? I’ve experimented with it, but it’s not usually my favorite (it’s really dense). Also it’s not a 1 to 1 substitution, it requires a recipe with lot more liquid than recipes with other flours. I made this recipe today, but added agave syrup, 2/3 cup. And made the almond milk into ricemilk which was 3/4 cup ( because of the agave syrup). I made like little mini cakes and put them in for like 50 minutes .. (because all the time i check they weren’t done yet). But still, the inside is really wet and undercooked .. Is it because i replaced the sugar or should it be wet.. ? The cake tins are 1 inch by 4 inch (i think). 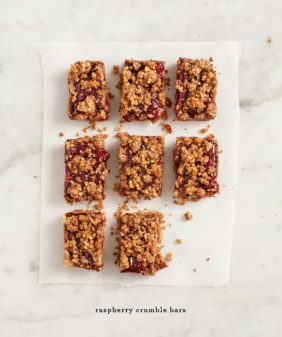 Since the carrots have so much moisture, I definitely recommend using dry sugar in here – I used raw cane sugar, another reader (in an above comment) had success with coconut sugar. Tomorrow Im baking this carrot cake recipe and Im super excited! I love it, its my favourite flavour and the best part its guilt-free! I was wondering if i could substitute the spelt flour for quinoa flour? I haven’t had great experiences with quinoa flour – it’s very different from wheat-based flours so I don’t think it would be a great swap here. (I’d suggest finding recipes that specifically call for quinoa flour). Ive just eaten almost the half of the cake! It is delicious and my family members think it too! I used 3/4 of quinoa flour, 2/3 of kiwicha flour and 2/3 of oatmeal and it did work! It took more time to bake (more less an hour intotal) but totally worth it!!! Hi!! Making this amazing cake. BUT i bought toasted and salted macadamia nuts and now I cant go fetch raw ones 🙁 Is it possible to use them, like also soaked? Hi, could I use all spelt flour for this cake or do you need to have a mix with regular wheat flour? I’ve been craving carrot cake for months now but I’ve recently have become vegan so I was searching the internet for a solid recipe. I stumbled upon this one and I thought it was worth a shot. Let me tell you, BEST carrot cake I’ve had in my life. You cannot even tell it’s vegan–even my roommates couldn’t believe it. I’m eating a slice as I speak. Fantastic recipe! I will definitely be looking at your other recipes in the future. Want to make this for my son’s birthday, can I use cake flour? Also, can I add pecans to the batter? I have 9 inch round cake pans, are there any adjustments that I need to make? Hi Wyzenna, yes you can use cake flour and I think a few pecans would be delicious. I haven’t made this as a layer cake, but others’ in the comments have seemed to have had success. It’s a pretty moist, dense, cake that I usually make as a sheet cake. I would just make sure to check and adjust the baking time to account for the change in pan size. I hope that helps! Can the macadamia frosting be made ahead of time and put in the freezer to be used when needed? Hi Erika, I don’t think this would freeze well, but you can store it in the fridge for up to about 4 days. Some water might separate, give it a stir before using. Thank you Jeanine! The frosting came out delicious! It really is like a cream cheese frosting but nuttier! :). I haven’t made the cake yet but will be making it tonight for my sons first birthday. I’ll be using a low GI sugar in place of regular cane sugar and hope it turns out well. Fingers crossed, toes too! I made this cake tonight, and it was fantastic! I cooked it for 30 minutes and soaked the nuts overnight. The frosting was to die for, and the cake was rich and moist. This is going in my quiver of delicious desert cake recipes! Thanks whoever came up with the recipe! Hi Andrew! I’m so glad you liked it – thanks for coming back to let me know! I just finished making this cake sans frosting and it is soooo delicious you can’t even tell its vegan it’s so moist and rises so well. I added a 1/2 cup of walnuts to the top instead of frosting but this recipe is DEFINITLEY a winner!! Hi! I’m getting ready to try out this recipe for a friend. I’ve haven’t baked with nuts very much before, so I just learned about the soaking nuts process. Do you recommend drying/dehyrdrating them in the oven after soaking/rinsing/draining them or can I go ahead and make the frosting immediately after soaking? Hi Victoria, don’t dry or dehydrate – soak the raw cashews, then use a strainer or colander to drain and rinse them – then blend! Soaking helps them get creamier while you blend. If you’re using a vitamix (or similar), you can get away with less soaking time. If you’re using a less powerful blender, the longer the soak time (ie, overnight) the better. It’s important that the cashews are raw so that their flavor is neutral and the end result doesn’t end up tasting like cashews. Hope this helps!! Thank you! Same for the macadamia nuts, right?? yep, you can soak them together. I followed the recipe and added crushed pineapple. Didn’t turn out too well. I recommend sticking to the recipe and not changing it. yes, but I would make sure it’s not too thick (homemade nut milks are usually thicker than the store-bought almond milk). Regular milk (skim milk) works too, but is obviously not vegan. and sorry how about the macadamia nuts,what kind of nut I can used instead of macadamia nuts,can be almond or any other nuts? I made this yesterday, really really loved it! I have a question: would it be ok to use extra virgin olive oil instead – I mean in both the cake and the frosting? D E L I C I O U S ! Can I use almond flour instead of spelt glour? Hi Jaime, I’m afraid it would make it to dense since almond flour has a lot more fat than regular flours (and since this cake with all of the carrots is pretty moist as it is). Overall I thought it was really good, even with my crazy substitutions. Not too sweet obviously, and it was still very moist aside from the top looking dry. My timing wasn’t very good on the frosting, so it didn’t have enough time to chill properly. I used a magic bullet and after a while it definitely got smooth. I thought the frosting still tasted amazing, especially with a good vanilla, but letting it get cold would have been even better. One thing I was confused on was whether or not I should measure the cashews after they had soaked or while they were still raw. In the end I decided it didn’t matter and I just used what I had which was a little more than a cup after soaking. It was a really thin frosting but I’m guessing the chilling would have helped with that. If I were to make this again I’d probably try using a carrot puree just to get more carrot into it. For the frosting I’d let it chill and also play around with trying to get it to be more tart. This was a delicious cake and my non-vegan family loved it. I’m sorry I didn’t exactly follow the recipe, I’m sure the original was great too! Thanks for the post! person but this is soooooooooo good! This was by far the best cake I’ve ever had and deffinatly one of the best desserts in the world? I love the frosting it was sooo good! My non vegan family and friends loved it as well. I made this cake twice in one week and almost every one I served it to comment on how they liked the frosting better than the traditional cream cheese frosting for carrot cake. Also serval people asked for the recipe. The spicing is perfect as well as the nice moist texture? Overall thank you so much for this wonderful recipe. I am so grateful to be able to share your creative work of art with my family. I loved this recipe sooooo much. It truly is to die for. Hi Kaley! So sorry for my slow reply, I’m so glad you and your family and friends loved the cake! It’s fine. Thank you so much! Can this be made with Oat, quinoa or chickpea flour? I can’t have any “white” things such as flour, pasta, refined sugar etc. Also, can you use something besides the cane sugar? I’m going to make this cake for my birthday cake this weekend. Has anyone made this cake into (2) 8″ rounds and used the frosting inside & out? My first, and novice-baker guess is to double the recipe, but I wonder if that will mean some will get discarded because it will be too much. macadamia nuts and cashews are expensive, I’d hate to see them go to waste. I haven’t tried making this as a 2-layer cake – it’s very moist so I think it might work best in a sheet pan.. This is the best carrot cake EVER!! I baked it this weekend and even my non-vegan friends ate two slices! Thanks for this recipe . . . looking at your book now! Yay, so glad you and your non-vegan friends loved it!! Made this for my husband’s bday BC my 2 yo is allergic to egg and dairy. My hb loved it and my son LOVED it! So moist. Hello and thank you for the recipe! I’m going to bake this tomorrow for my boyfriend’s birthday. Could you specify if by “vanilla” you meant Vanilla extract, or did you use a powder/paste? I’m super excited to make this cake for Mother’s Day. Couple questions…How long does the cake and frosting stay fresh? Can it be made a day ahead? Thanks!! Hi Meg, yep, you can make it the day before just be sure to store it in the fridge. It will last 3-4 days in the fridge, but it starts to look a little less pretty over time so I think making it 1 day before mother’s day is a great plan. Is it just me or are the carrots somehow oxidizing to a greenish color? Every time I make this I ask myself what is green that I put in the recipe? Am I doing something wrong? Hi Nina, that’s so weird, someone just wrote me say that their carrot cookies (another recipe) also turned green – I’ve made both recipes a gajillion times (and so have others) and this is the first I’m hearing about this green thing. When I googled it I found this helpful answer: http://www.thekitchn.com/food-science-when-good-carrots-52210 Maybe try reducing the baking soda by 1/4 teaspoon? I want to make this cake tomorrow. But I was wondering if I could make it without the frosting? Don’t have the ingredients . Super Delicious…I used oat flour and gluten free flour mix. I also thought I wanted a tangier frosting as well so I grated lemon rind in my frosting along with extra lemon juice. I also added toasted walnuts and raisins. The frosting was a first for me. I learned a lot from making this recipe. I enjoyed making it…I really wanted it, so I worked for it! No one else who tasted it enjoyed it as much as I did!…and that’s why everything I bake is what I like! 🙂 Thank you for sharing a great recipe that people can tweak in so many ways to make their own and enjoy! Just made this cake for my dad’s birthday! (with another frosting) It was superb! He will be enjoying it for the rest of the week! 🙂 Thank you! I just made this recipe for my birthday and I am vegan who has attempted many vegan cakes and this has been by far one of the best recipes that does not require odd ingredients such as egg replacements or anything like that! Loved it so much! I did not change a thing on the recipe and did it all accordingly, it turned out wonderfully and the frosting took no time at all! Can’t wait to buy your book very impressed! I have posted a photo of my creation on my Instagram page @thecranberryclub if you wish to check it out! Just wanted to contribute to all the good comments to confirm that this recipe is great! The cake rose really well, not a heavy cake at all, yet nice and moist. I even made cupcakes by reducing the cooking time to about 20 mins, and they were beautiful. Thanks! This looks amazing and looks like it will be perfect for my dad who loves carrot cake but wants to be healthy (so nix on the cream cheese frosting!) I just wanted to know if if there is any way I can substitute the coconut oil in the frosting? Or if I can maybe leave it out? Will it effect the frosting badly? I just made this yesterday… It’s already half gone. I used 1/2 whole wheat and 1/2 all-purpose flour and used a little more than a 1/2 cup of sugar and it is THE BOMB. I used 1/8 maple syrup in the frosting as well and I think that’s why I keep eating it, is because it is not overly sweet and more like a sweet bread/cake thing which is how I like it. It is incredibly dense and my non-vegan parents love it also! 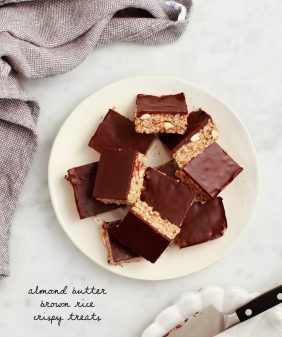 This is one of my favorite vegan desserts by far! Hi Jenna – I’m so glad you loved it! Made this cake for my vegan roommates birthday and it was a huge hit! Followed the cake recipe exactly other than adding in golden raisins. We loved the taste of the frosting although I soaked the nuts overnight so it was pretty runny. We just drizzled it over the slices of cake right before it was served and it was fine. My first time using soaked nuts, but won’t be my last! Great recipes! Amazing!! Have made this several times and its turned out every single time! Thanks for sharing such a great recipe :)!!! I made this on Friday.. Flavours were amazing but was so dense and the frosting was far too runny (made in vitamin)- where am I going wrong??!! Hi Claire – if you soaked your cashews, did you drain them well before adding to the blender? The cake is a little on the dense side, although you might want to make sure your baking powder is fresh, since this is vegan, it’s the only ingredient that helps the cake rise. Hi and Greetings from the UK. Big thanks for the amazing recipe. A question a could I substitute the coconut oil for perhaps Rapeseed oil or light extra virgin oil? I just made this cake but had to add applesauce and water in order to be able to beat it. I measured the dry ingredients properly but the half cup of oil and other small liquid amounts were nowhere near enough to make a moist cake. With vegan company arriving, this is a dreadful recipe. The cake part is excellent! I am not a huge fan of the frosting though. Not sure if it is the macadamia nuts or what. I like macadamia nuts, but the taste of the frosting was just a little off to me. Possibly an acquired taste. Any suggestions for another alternative to keep it vegan? – I bought new baking powder, to make sure it was really fresh. – A one-pound bag of baby carrots goes a looong way. I shredded the carrots fine shred, rather than the coarse shred. – Even at room temp, the coconut oil/applesauce/milk mixture congealed. (My a/c’s too cold?) I zapped it in the microwave for a minute, and it was ok.
– I made the frosting in a VitaMix. Two minutes on high started to steam (Whoops! Forgot it can make hot soup. Choose the ‘smoothie’ setting.) I added the extra milk, which I wouldn’t do again, because the frosting was a bit runny. – I used a 1/4 c. (2″ diameter) cookie scoop for the batter. – Baked at 350 for 22 minutes. Hi! Instead of the apple sauce what can i use ? This cake was a huge hit, soooooo good!! I added walnuts and raisins on top. I’m so glad you liked it! What’s the best way to make this gluten free? Hi Cassandra, I think others have successfully replaced the flour with an all purpose gluten free blend, although I haven’t tried it myself… I’ll try it next time and let you know how it goes. I made this using Coconut Flour. When it was all mixed, before I put it on the tray, it was very clumpy. Is that normal? When it was done in the oven 50 min or so it came out very soft and pudding like. I let it cool but it didn’t change the texture. It didn’t really look like carrot cake. Did I do something wrong? Hi Nuno, coconut flour cannot be used as a 1:1 replacement in baking. I suggest following the recipe as written or googling for a recipe that specifically uses coconut flour. I’ll try the recipe as is written for next time. Just had a bunch of coconut flour on hand. Do you think it’s still good to eat? The rule is that you want to use a ratio of about 1/4 coconut flour to other flours because coconut flour is so dense. Hope that helps! Hi, can I use soy milk in place of almond milk. My friend has a nut allergy. Hi! I wanted to make this for a Sunday potluck. I was wondering if I could make it on Saturday, frost it and just keep it in the fridge covered with plastic wrap? Also is it better eating it cold straight from the fridge or do you recommend taking it out 15 -20 minutes before eating? Lastly, I assume the coconut oil for the frosting is in its solid state? Thanks! Hi Tanya, yes you can make it the day before and it’s great cold out of the fridge. The coconut oil can be hardened or melted, it’ll get soft anyway in the blender and it’ll firm up again once it chills in the fridge. Hope you like the cake! Made this today for a birthday surprise for my vegan sister. I had a lot of help from her two grandsons ages 5 and 11 and their two friends. Everything went pretty well. Grated the carrots quickly in my high powered blender. Everything else was a piece of cake – ha! My sister loved the cake, but with her two grandchildren helping …. She was gonna love it no matter what. Me? I can’t say I’d make it again for me, but I’d happily make it for my sister again …. And probably will. Hi Michelle, thank you, I’m so glad you enjoyed it! Thank’s for comment about the pineapple! I made this yesterday and was a little disappointed. Carrot cake used to be my favourite dessert before becoming vegan, so I should mention that I have pretty high standards when it comes to this dessert. The classic (non-vegan) carrot cakes that I’m used to are based on the “cream method” (i.e. cream sugar into butter first) as opposed to the “quick bread method” featured here (read more here: http://www.veganbaking.net/articles/guides/how-to-veganize-a-cake-recipe). As a result, I found this carrot cake lacking the rich buttery flavour I love. Also, the texture was too spongy (for lack of a better word), as opposed to being tender, dense, and moist. Overall, I enjoyed it and was very appreciative for the veganized recipe, but I think it needs some work. Maybe a vegan carrot cake using the cream method with Earth Balance would be better? Hi Seth – thank you for your comments. This cake is definitely more of a quick bread, it’s how my mom made it growing up so it’s the texture, etc, that I like. I hope you find a recipe that suits your taste! Also, just wanted to add that I topped my cake with toasted pecans. Will definitely do this again. So tasty. Try Rebecca Lakes changes in the comment below. My carrot cake comes out phenominal, moist, rich basically the bomb! Check it out! Thanks Rebecca! I’ll take a look. I’m so glad you loved it! Thanks for sharing! This carrot cake is the absolute bomb and I have made it tens of times already. I am eating whole-grain plant-based with no oil, so I made a few changes to your recipe, but believe me, the cake came out no worse for the wear. 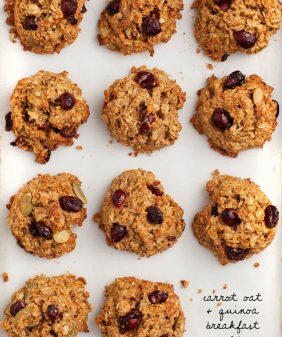 I used half splelt and half whole wheat flour and I added only 2 tsps of coconut oil(instead of 1/2 cup), 1/4 cup of sugar and a 1/4 cup of maple syrup(instead of 1 cup of sugar) , and a cup of raisins and a cup of chopped walnuts. Once baked, I could taste the baking powder in the cake, so now I add only 1 tsp baking powder(instead of 3) and 11/2 tsp baking soda(instead of 1) and 1 Tbsp apple cider vinegar to the almond milk. I love that there are two packed cups of shredded carrots in the recipe. I also learned that a 30 minute bake at 350 produced a moist and ever-so-delicious carrot cake. More time would tend to make it slightly drier. This last time I made it, I wanted to get rid of the sugar entirely so I added 1/4 cup of date slurry(made by processing 1/4 dates with 1/4 cup boiling water) instead of the 1/4 cup sugar and the cake came out fabulous. I used Kite Hill cream cheese(It’s made from almonds) with 2 Tbsp maple syrup processed in the blender for the frosting. I will try your frosting sometime soon. I live far away from a Whole Foods and Whole Foods is the only store that sells Kite Hill products. Thank you so much for this incredible recipe! I made this cake as a 2 tier birthday cake and is turned out great!! Was so delicious and got lots of compliment! I made some changes…. reduced a sugar to 3/4 cup, used only a pinch of salt and used sunflower oil. I wanted to make sure that it will rise nicely so used half almond milk and half aquafaba /chickpea water/, half all purpose flour and half self-raising flour. I rarely leave comments but so thankful for this recipe… it’s a winner! Thanks so much. Hi, I made this cake with soya milk instead of almond, and white sugar instead of cane sugar, and it was great! Thank you! I didn’t make any frosting and kept the cake in the fridge, and from the second day onwards it was slightly sticky. It still looked and tasted great, but when cutting into it or eating it it was definitely sticky – can’t describe it any other way, sorry! Hi Jhanvi, I’m so glad you liked it! It’s a very moist cake due to all of the carrots. You could try baking it a little longer to make it more dry but I personally like my cake on the less-dry side. Thank you for the quick reply! I wondered whether it might have been the different milk or putting it in the fridge. Either way, it’s delicious and everyone so far has really liked. Some comments above mentioned flax seeds – did you have a version of the recipe before that used flax meal? loved this recipe! I cut the recipe in half, omitted frosting, and made mini muffins (FYI, it made 35 mini muffins and they took 11-12 minutes to bake at 350 degrees). I wanted to make a carrot cake for my family for easter and this recipe sounds delicious, but I was thinking of a traditional round, layered cake. Is the frosting thick enough to hold a layer of cake?? I couldn’t possibly read through all the comments, so my apologies if the question was answered above. I personally haven’t tried this recipe as a layer cake – this cake is really moist/dense, I’m not sure it would hold up to layers like a lighter cake might. About 3 comments up, a reader had some success with layers but made a few modifications. I’m not sure if she used the frosting recipe as-is. The frosting is thick but it’s not as stiff as regular butter cream or cream cheese icing. Also, I’m not sure there would be enough to cover the sides, middle, and top. Sorry I couldn’t be more helpful! Love this cake! It’s our new go to birthday and now Easter cake. I double the recipe and make a double round layer cake. So pretty and so good! Thank you for sharing, I’m so glad this is a favorite! I’m so happy to hear that it worked as a layer cake. I’ve recently adapted a plant based diet and this was the first attempt at making a vegan cake. My husband is going along the ride with me and mentioned there was carrot cake in his break room at work that looked good but he avoided it. As a kind gesture, I decided to surprise him for Easter and make him a vegan carrot cake which he enjoyed. After making the fabulous corn chowder on the site, I had high hopes this recipe would produce something tasty. I was pleased with the results as a healthy substitute for the “real thing”. I chose to not use sugar, rather I used home made almond milk and blended 3 dates in with the almond milk to add some sweetness. Along with the prescribed amount of applesauce, I also crushed in my blender about a 1/4 cup of fresh pineapple, and used 1/2 cup of raisins and a 1/4 cup of maple syrup in place of the 1 cup of sugar. I used a half cup of walnuts, and also chose to only use 2 Tbls. of coconut oil to reduce the oil content of the recipe. I also used only 1 Tbls, of oil in the frosting. The result was good but my cake did bake faster than the 30 minute time, mine was done at the 24 minute mark but I left it in for 30 minutes and may have dried it out a touch but it was still good. The frosting does do a great job of satisfying the cream cheese flavor although my vitamix blender jar has a wide bottom and the ingredients could not fully whip up into a creamy texture. I still had sand like bits of nuts which would not smooth out because there was not enough volume in the blender to whip the ingredients into a very smooth texture. Next time I will use a hand immersion blender and see if that will work better. I miss my narrow based vitamix jar! I lined my glass baking dish with parchment paper so the cake would not stick and clean up was a breeze. I would definitely make this again. It came out so soooo good, literally the best (vegan) thing I’ve ever baked! The cake refrigerates well too. Definitely a keeper in my go-to recipes! Hi Annelien, I’m so glad you liked the cake! Hi Mo, I’m so glad this is your favorite cake! Thanks for taking a minute to let me know! Thank you so much for this recipe, Jeanine. I found it really easy to make and honestly think it tastes sooo much better than the diary alternative! The “cream cheese” is so close to the real thing it’s crazy. Do you think it would be ok if I froze what I can’t eat? And when I’m ready, to let it just if thaw on the counter for a couple hours? Can these be made into a round layer cake using two cake pans? I want to make this for my husband on Wednesday for his 61st birthday. Hi Robin, I don’t see the circles you’re referring to. I’m so sorry, maybe it’s a difference between internet browsers? If you email me a screenshot (jd@loveandlemons.com), I can possibly troubleshoot what you’re seeing! This looks lovely. Thank you! I’m wondering if it’s possible to leave out the sugar and use stevia instead (or dried fruit). Could you please give me some advice on if I need to adjust the flour or another ingredient’s measurements? Hi Polly, I’m not sure that would work – Stevia isn’t an exact replacement for sugar in baking so it would likely throw off the texture. I think some readers have cut the sugar in half with good results but I haven’t personally tried. I made two cakes of this for a cultural kitchen where I volunteer and it was a hit. I thought it was delicious too and it came out really well even in an old gas oven! Hi! The almond milk used for the frosting has to be unsweetened? Or can it be vanilla flavoured? Thank you! Hi SOl, it can be vanilla flavored – either one – it won’t make too much of a difference. I made this today. It came out okay. I think I used too much grated carrots. I think it’s a fabulous recipe! Question, will this freeze well? Thanks! Hi! Can macadamia nuts be substituted with something else? Thanks! This looks amazing. I will be making this on the weekend to share with our non-vegan family. 1) Should I melt the coconut oil before making the frosting or does it matter? 2) What is sprinkled/crumbled over top in the picture? Hi Brad, the coconut oil does not have to be melted – it’ll blend fine either way. Hope you enjoy the recipe! Hi Christina – I’m so glad everyone likes the cake! If you’re eating it within a day or so, I think it would be fine to not put in the fridge. Otherwise, I think the frosting will get watery at room temp. You could leave the cake out separate from the frosting if you like? Surely this is yummy. My whole family love it very much, So we make it again and again. What other nut would you recommend either than macadamian? Hi Sarah – use cashews in place of the macadamias. Hope that helps! Hi there! I just wanted to let you know how much I ADORE this recipe –– I’ve already made it three times this fall! In fact, I loved it so much I decided to feature it in my recent roundup of recipes using seasonal October produce. If you think your followers would enjoy reading it, I’d love if you’d give the article a share. Just trying to spread the goodness that is seasonal eating. Thanks again for all you create! Great recipe! Came here to post that I reduced the sugar a lot and regretted it. Added a lot of icing sugar to the frosting to try to make up for it — the frosting is delicious! Thank you! ha, thanks for your feedback, glad you enjoyed the recipe with the extra frosting! I made this for a party and PEOPLE LOVED IT. The thing with baking is that I cannot taste the final product until the event itself, so it is also a surprise for me. And boy was I amazed! I felt like a dweeb praising the cake I brought myself, but ultimately it’s the recipe’s success so THANK YOU! 🙂 It’s super simple to make so this is definitely my go-to recipe from now on. I used a coconut cream frosting though, and it works very well! Hi Irene, I’m SO happy to hear that everyone (including yourself) loved it!! Thank you for the wonderful feedback! The cake looks delicious and I’d like to give it a try, but I’m a bit confused as far as the conversion of cups to grams is concerned (I only use grams in recipes and always convert cups to grams). For example, a cup of all purpose flour equals to 125 grams, whereas a cup of spelt flour equals to little over 100 grams -so how come 2 1/4 cups of both equal to 256 grams???? Wow what a delicious cake! I did have some trouble whilst baking it – one area of the cake was just not cooking through. Probably baked it for an hour all up. Areas that were already cooked began to burn so I covered the cake with foil. This helped cook it through but made it moist and dense – a little doughy too. However it is delicious nevertheless and texture is similar to store bought banana bread. I didn’t have any apple sauce on me so I peeled and blitzed one apple with a dash of water in my blender. Perhaps made the cake mixture too runny, hence my baking issue. Not sure. I made the frosting with one cup of cashews and almonds and it tastes delicious – just like cream cheese. I’m amazed! Will definitely make this again. Note I’m not vegan neither is my dad who tried it – we both loved it. This was a hit with my omni family! I made the cake as called for but replaced 1/4 cup of the water for pineapple juice, and added 3 tbsp crushed pineapple and 1/2 cup chopped pecans. I ended up using a vegan frosting from the grocery store and made the batter into mini cupcakes (baked for 18 minutes). Next time I’ll make the frosting from this recipe. I’m so glad your family loved the cake!! Great recipe, stores in the fridge well and it’s delicious. I made the frosting a little differently since I happened to already have some almonds soaking in the fridge. Almonds worked well. If you happen to have apple cider vinegar I highly recommend it instead of lemon. It made the frosting taste just like cream cheese. YUM! Just made this cake last night and as a self proclaimed carrot cake aficionado, I give this 10/10. I used half spelt flour, a quarter almond flour, and a quarter oat flour. I also added in 3 flax eggs. I used half the recommended coconut oil and substituted the other half for coconut yogurt. I also used coconut sugar in place of cane sugar. I was hoping this cake wouldn’t be as dense and moist as other recipes I’ve tried, and it wasn’t! I also added walnuts and raisins to taste. For the frosting I reduced the lemon juice and added some lemon zest. This came out perfectly on the first try – super moist and tasty. I do think the cream cheese is an acquired taste but it doesn’t taste very different from real cream cheese I’ve had in the past. Oh, and I subbed mashed bananas for the apple sauce. Worked perfectly. I’m so glad you liked it! I bet it would be delicious with mashed banana, I will try that next time! Hi! i just tried the receipe and the texture is perfect,definitely will go to my favorites receipes. The only thing i noticed is that it didn’t have so many carrot taste, like it was subtle, in that case should i use more carrot? thank you so much! i discovered this website recently so i’ll be trying out a few more! Hi Bee, I’m so glad you enjoyed the recipe! I’d keep the same amount of carrots or the cake will be more dense and might not rise properly. This recipe is an absolute winner! I can’t eat apple sauce, so followed the advice of one of the other commenters and left it out and just added ~1T water instead. The oil I used was sunflower oil and the milk I used was rice milk. Hi Sammy, I’m so glad you enjoyed the cake! Let me know if you try the pureed carrot – so creative! I am looking so forward to making this recipe! I am going to make it as is, but I was wondering (since I didn’t see any feedback in comments), has anyone used an all purpose gluten free flour? The cake recipe is great. I made cupcakes, using 1/4cup batter per cupcake. The recipe yielded 20 cupcakes. Against popular vote, the frosting was hideous. It tasted like sweet and sour cashew butter. Didn’t taste like cream cheese or any type of frosting at all. I tried saving it, but it died a slow death and was put to rest in the garbage. Thanks for the great cake recipe, but I’ll keep looking for a vegan cream cheese recipe that doesn’t make my eyes water. Hi Holly, I’m glad you enjoyed the cake and I’m sorry you didn’t like the frosting. I’m wondering if you used raw unsalted cashews (roasted cashews have a more prominent cashew taste). Either way, I recently posted a more traditional vegan cream cheese frosting here that you might prefer: https://www.loveandlemons.com/vegan-pumpkin-snack-cake/ Thank you for your feedback. 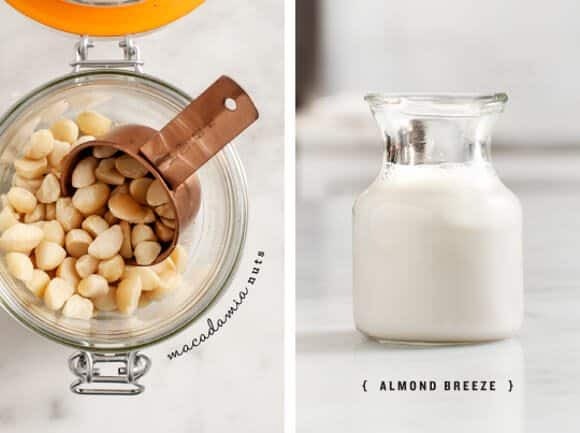 With the icing – we have a cashew allergy in the family and can’t use them – would all macadamias work? 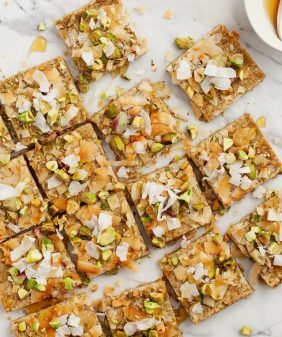 Or do you have another suggestion as I really want to make this but my son is allergic (anaphylactic) to cashew, pistachios, walnut, pecan & sesame. Hi Brooke, I think it might turn out to gritty. Hi Sara, I haven’t used that blender so I’m not quite sure how creamy it’ll make the nuts. You can soak them first to help them soften a bit. I’ve tried it but I haven’t had luck making it fluffy and frosting-like. So sorry! Thank you so much for your replies. The cream cheese I have at home is the Koko? Would you say this will go well in that cream cheese recipe you send me or would I be better of trying the macadamia recipe in my blender? Would love your opinion as not entirely which one is more likely to go “wrong”. Hi Sara, I haven’t tried that brand specifically, but I’ve tried multiple vegan cream cheeses and they all seem to have similar textures, so I think it will be fine. I think that route might be the safest if you’re unsure about your blender. Great recipe. Accidentally added 1/4 cup maple syrup to the batter so reduced the almond milk by 1/4 cup. Came out great anyway. Nice texture and tastey. Hey there, your link for the cream cheese frosting isn’t working I don’t know why I was able to see the “option 1” and “option 2” for the frostings earlier but now I can only see the one using nuts. Thanks! Is the applesauce help it to rise?? I was curious if I could replace some with carrot puree and add more carrot flavor?? Hi Cassie, it does help it to rise. There’s lots of carrot flavor in the cake, so I’d use the applesauce as it’s written – I think more carrots might make the cake more dense. Hope that helps! Hi! Can these be made into cupcakes as well? If so, how many do you think I’d get from this recipe? We made these as cupcakes with a vegan cream cheese frosting and they were amazing! I’m so glad you loved the cake as cupcakes! Hello I’m just wondering if you altered the cooking time or temperature of the oven to turn these into muffins? Thanks! Hi Summer, I would keep the cooking time the same and check them around 18 to 20 minutes. I’ve made this cake multiple times with the cup measurements and it’s been absolutely perfect but I tried the same recipe but use the gram measurements (I’m from the UK) and it was an absolute fail so I think there might be something off about the conversion? Very very dense and didnt seem as though there was enough flour in it. This is delicious. I replaced two flax eggs for the applesauce: 2 tablespoons of flax meal and 6 tablespoons water. Thank you for the recipe, I used it for my son’s first birthday. We all loved it. Something about vegan food make it seem thrice as good! The color, the taste, the texture, and everything about a healthy carrot cake make the cake stand out. It’s even a ketogenic diet friendly recipe! Have you heard of ketogenic vegans? They sound like a happy healthy lifestyle, don’t they? This would be a great recipe for those wanting to start that keto-vegan diet. I’m a vegan and this is perfect! I’m definitely gonna try this one! My kid loves carrot cake so much! Thank you for sharing! I made this for my husbands birthday. It was super easy to make and a hit with everyone. I added golden raisins to the batter. My adult son who normally doesn’t eat cake and doesn’t have a sweet tooth requested this cake for his birthday. This will be my go to cake for birthdays and functions. Hi Heather, I’m so glad you all loved the cake! This is an AWESOME recipe. I followed the cake recipe exactly, except I used whole wheat flour. For the icing, I made a few adjustments by adding 2 tbsp of cane sugar and 2 tbsp of corn starch. I was having a hard time getting it to form some consistency, but then I realized I was doing it wrong. I used crushed up almonds and cashews. I did not soak them, just crushed them. I decided to use it as a pour over sauce. It was actually delicious. It was super yummy and a breath of fresh air as I am a new vegan and did want to miss out on a nice piece of cake. My family loved it, and did not believe it was Vegan. It held together nicely without any egg at all. Thinking about making it for Thanksgiving. Thank you for this recipe. I have to comment on this recipe because it is so fantastic! I halved the recipe and only used cashews for the frosting because that’s what I had. I soaked the cashews in hot water for 30 minutes and used a regular blender (just blended it a bit longer to make sure it had a smooth consistency). Otherwise I followed the recipe exactly and it turned out perfect! The frosting really does taste pretty close to a true cream cheese frosting. Thank you for sharing this recipe. I will definitely be making it again! I’m so glad you loved the cake!! I tred this recipe 4 months ago. People still talk about it. It is soooo good! I tried this recipe 4 months ago. People still talk about it. It is soooo good! Hi Nina, I’m so glad everyone loves it!! That was so good! I added a splash more lemon juice to the icing as the maple syrup was a bit dominant and ended up with a gorgeous cake, thanks so much. A question: we need to travel for a couple of hours to a summer wedding and take vegan cake. If we refrigerated it well beforehand, would the icing survive the journey if the temperature is 60-70 Fahrenheit? Hi there! I’m wondering if I can make two 9 inch round cakes with this recipe? I want to make this for my bday coming up in a couple of days. And will the frosting be enough for a two tiered cake? Thanks so much! Hope to hear from you! I’ve made this for the third time already, each time the people raved about it! And they still talk about it months later! The last time I tried it with Spelt flour, and it turned out perfect as well. Looks so delish. Im alergic to almonds, can I sub a different milk like cashew, flaxseed, or coconut milk for the almond milk? Hi Megan – yep, any milk will be fine! (not the thick coconut milk in the can, but the beverage type of coconut milk). Does anyone know how I can use this recipe to make cupcakes? I’d like to make them for Easter at my usual family gathering! I’m just not quite sure if I’d need to adjust the recipe or baking time any. Please let me know! Hi Kaley, I’d bake them a little less – I’d check them around 25 minutes. Hi Sharon, about 2 hours. If you have a high powered blender, like a Vitamix, you don’t need to soak them. Is it Original Almond Milk, or Original Unsweetened Almond Milk? The Original has cane syrup in it, so I didn’t want to make a mistake and have it be too sweet. Great recipe to help me get started, thank you!